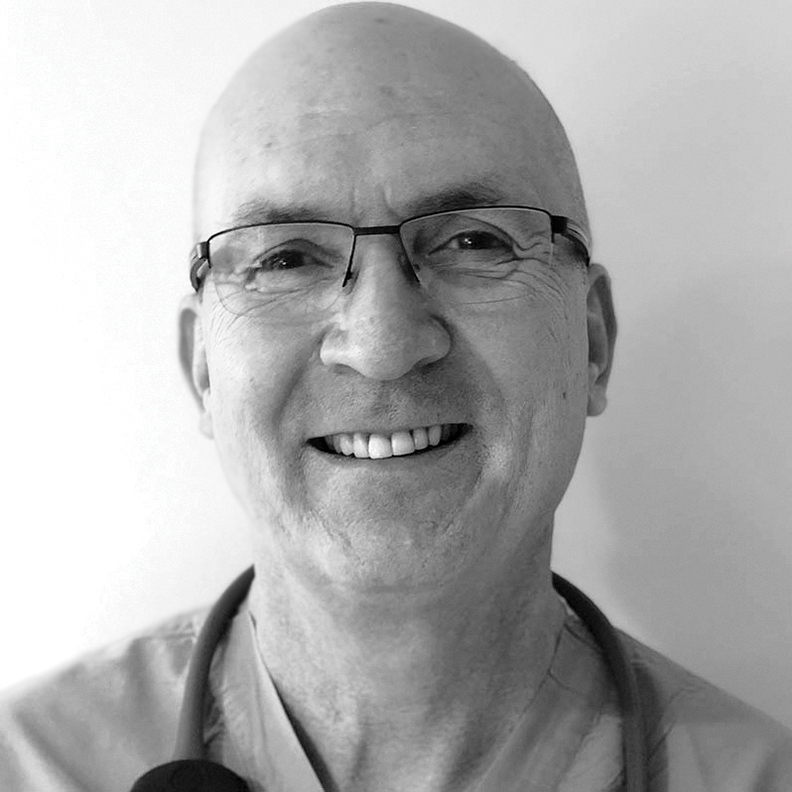 Dr. Gregory Welch Division director, Mednax Sunrise, Fla.
"We just wanted to hear them say, 'We're sorry, we'll make sure it doesn't happen to anyone else.'" 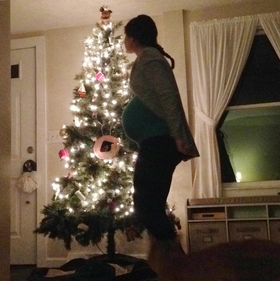 The last pregnancy photo, taken in front of the Christmas tree. About two years ago, my pregnant niece Jennifer was scheduled to go into a prestigious women's hospital for an induced delivery at 37 weeks. She asked me to be there when she delivered. Jennifer, a veterinarian who was 34 at the time, faced increased risk of stillbirth beyond the 37-week mark due to a condition she has. Her doctors expected no problems with the induced delivery. I got a call around 3 a.m. that I should come to the hospital because she was fully dilated and would start pushing. When I got there, she pushed for several more hours and finally opted for a C-section. Her sister, Lauren, who's a pediatrician, went into the OR with Jennifer. About 20 minutes later, I saw a medical team running past me in the hall. Lauren came out crying, saying the team was doing CPR on the baby. I went into the OR and saw the team, consisting of a neonatology fellow, a nurse practitioner, a nurse,and a medical resident, doing chest compressions on the baby. They couldn't detect a heart rate. I asked the fellow if he was sure the endotracheal tube was properly placed, and he said he was. I wasn't seeing any chest rise. I've been resuscitating babies for 29 years, and 99 times out of 100 the reason the baby's heart rate won't come up is lack of effective ventilation. My initial instinct was to hip check this guy out of the way and do what I needed to do. But I knew I could be charged with battery and lose my medical license for intervening where I don't have authority. It was horrible. Then the attending physician, a world-renowned neonatology researcher, comes in. My first reaction was, finally there's someone who's going to do what needs to be done. I was so relieved. But the attending doesn't say anything, and no one says anything to him. Finally, I informed him this was a routine C-section. He looks over but still doesn't say or do anything. He didn't check the tube or touch the baby. I was shocked. I expected him to bump the fellow out the way and go right for the tube. I've done that with my residents on numerous occasions. Then someone said the baby's abdomen is getting distended, and I asked if the tube is in the esophagus instead of the trachea. Then the baby made a little gasp, an agonal breath. They called code. It was horrific. I had to go over and tell my niece and her husband that their baby died. A couple hours later, the attending and the fellow came into the room and said they had no idea what happened, it was very unusual, and they'd do an autopsy. Isaac, cradled in his father's arms for the first and last time. I followed the attending out of the room and told him I didn't think the tube was in and no one checked it. The most damning piece of information was that the umbilical cord arterial blood gas was normal, and there was no fetal distress. The attending had this absent look on his face. I called the neonatology chairman, whom I knew because he offered me a job a couple years earlier. He immediately became defensive, saying he trusted his team 100% and he couldn't talk about the case because of HIPAA. I replied that I hoped we could talk as professionals, and then sit down with the family. But he cut me off. I was afraid the family would think this was some rare disorder that caused the baby to die and that it would happen to their other kids. So I told them I was 99% sure that it was a medical error. The family asked to speak with someone from the hospital. They sent the chief medical officer, who's a neonatologist, and a risk-management attorney. I was there, and I went through everything. The CMO acknowledged nothing. The family was traumatized but chose not to pursue legal action. 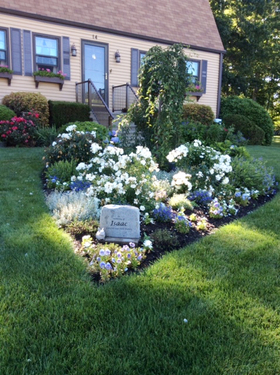 They put a memorial marker for baby Isaac in his grandmother's front yard. Earlier this year, Jennifer and her husband had a baby girl, who's doing fine. About a year and a half after Isaac died in the OR, I reached out to the CMO and told him Jennifer wanted to meet with the medical team and talk. I told him the family was not interested in pursuing legal action. We set up the meeting. Before that, I sent the CMO a written account of everything I saw, which they had never asked me about. 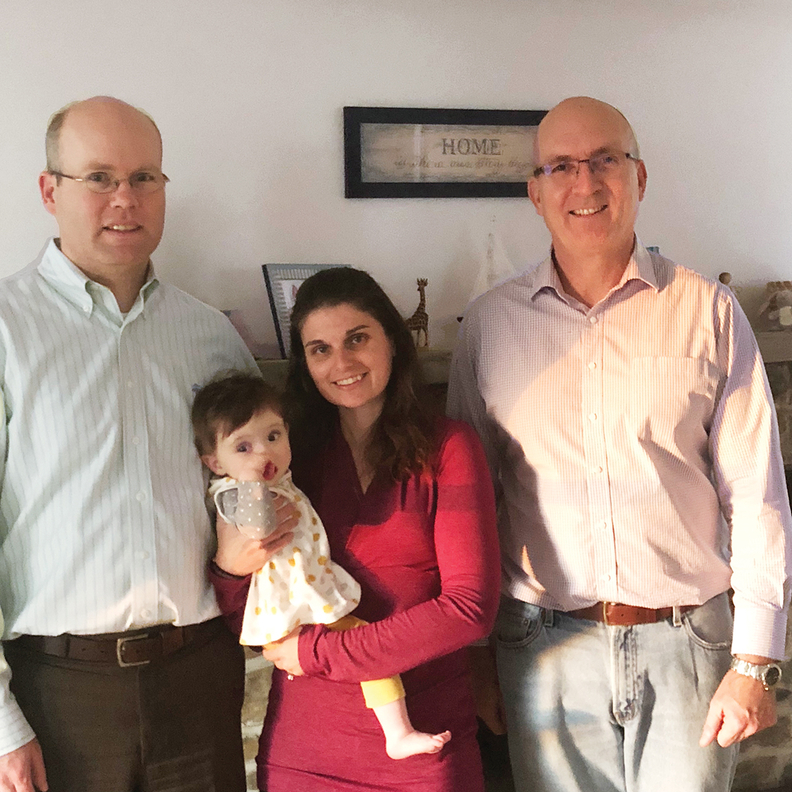 Jennifer, her husband, Lauren, and I sat down with the CMO, the attending physician and a different risk-management official. I was hoping the neonatology fellow and the other team members would attend, because this would be helpful to them. But they weren't there. They played the same game. The attending physician started out by saying the case still bothers him, but he doesn't know what happened. We just wanted to hear them say, “We're sorry, we'll make sure it doesn't happen to anyone else.” Then it would have been over. The closest we got was when I asked what the lessons were, and the CMO said they now tell fellows and residents it's OK to start over in placing the endotracheal tube. I asked why they couldn't just come out and say they didn't place the tube properly. I got no response. The best part, and it's kind of sad, is Jennifer did get something out of the meeting. She very calmly looked the attending in the eye, and said, “I'm a veterinarian; I know sometimes we can't get the tube in. All I wanted you to do is look me in the eye and say for sure the tube was in. You can't do that because you never checked.” He had a soft, sullen look, and was slightly shaking his head up and down. I know he felt horrible. I followed up after the meeting, saying I hope we can discuss this further because you aren't following the standards of the Institute for Healthcare Improvement or the Joint Commission or the National Patient Safety Foundation. I said let's use this as a springboard for creating a culture of safety. That's when I got a threatening note from the risk manager telling me not to contact the doctors anymore and that they would not discuss any specifics of the case. Welch's family, including Jennifer's baby daughter. This experience with my family has made me even more passionate about wanting to improve patient safety. I've since completed online IHI training toward becoming a certified professional patient safety examiner. I travel all over the country and I see lots of different hospitals. Sadly, the majority of them still function this way when things go wrong. I've served on risk-management committees, and I've seen this kind of behavior. But I've never experienced it from the family or patient perspective. I didn't think this hospital would be like that. As healthcare professionals, we owe patients and their families the truth so we can learn and improve patient safety for everyone. I don't know why the attending didn't do anything. I was very disappointed.